Let’s play ball! 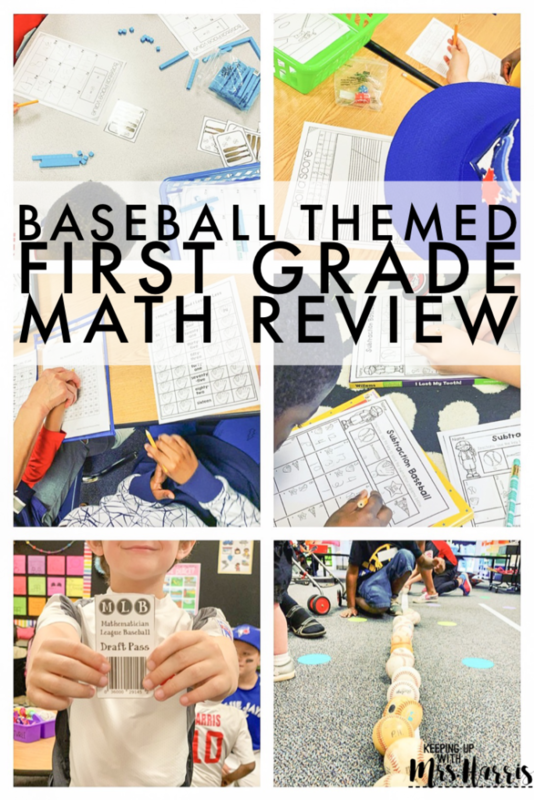 Want to end the year with a fun first grade math review? 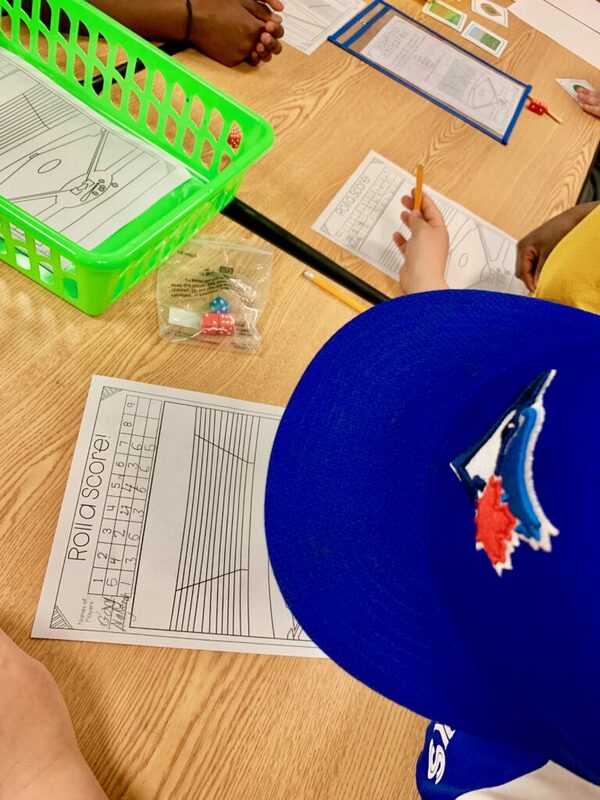 We had a blast with these baseball themed math activities that provided my students with a quick review of their math standards from the year as we prepare for our final assessments. 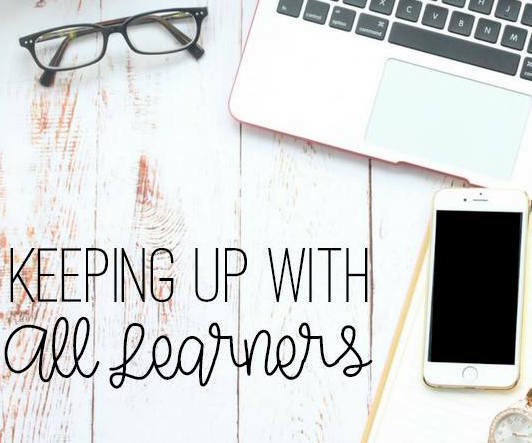 Let’s face it, the weeks after Spring Break are not easy. I had this review planned for weeks and when Monday hit, our behavior was straight up not so great. 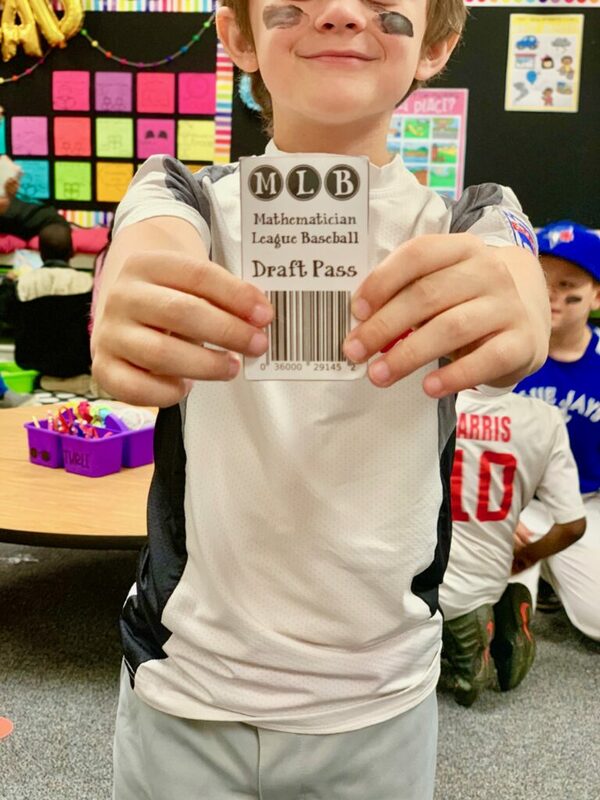 To provide an extra motivator and build excitement about the review day, I passed out “draft passes” to students when I saw them exceeding expectations. 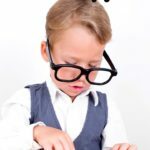 It immediately got most of my students back on track. 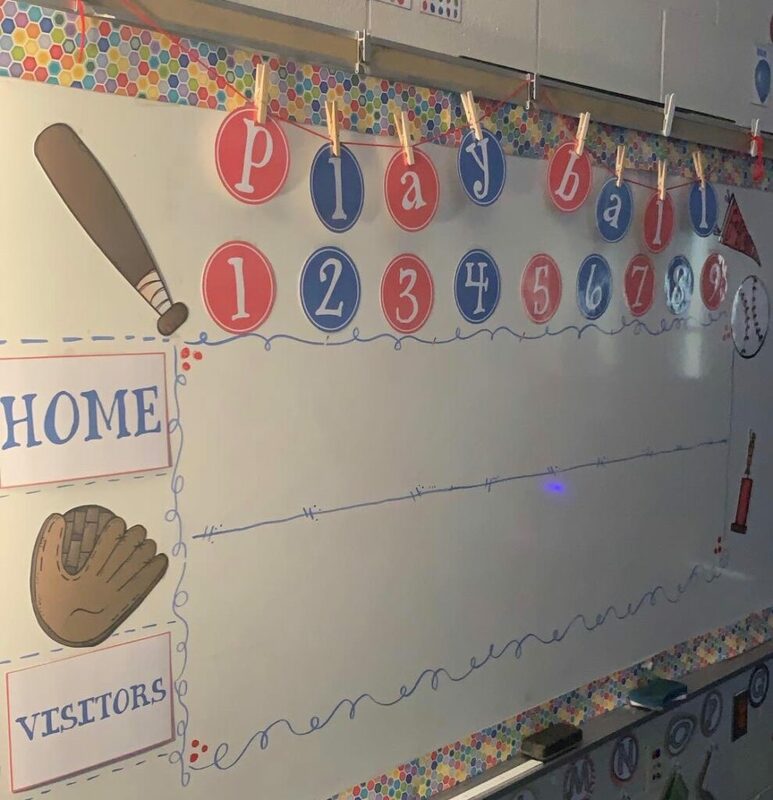 This is not a great picture, but I also displayed a fun board on Wednesday afternoon to get my students even more excited about our upcoming “game”. This display also served as our scoreboard during the review. 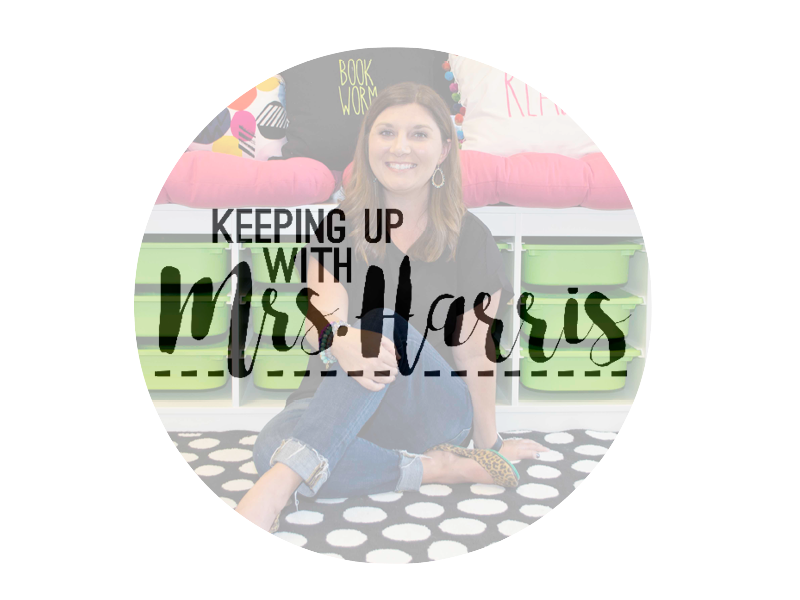 I sent home text messages and newsletters preparing parents for this about a week ahead of time. I asked them to send their child in either their current baseball/softball uniform, previous year jerseys or a solid red or blue shirt. 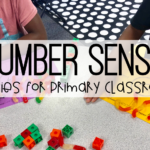 I had white duck tape to add numbers to solid shirts. I also purchased black face paint to add to each kids’ faces that wanted it. Hats were also encouraged for our fun day. ALL my students participated by dressing up. This was a huge first for me. 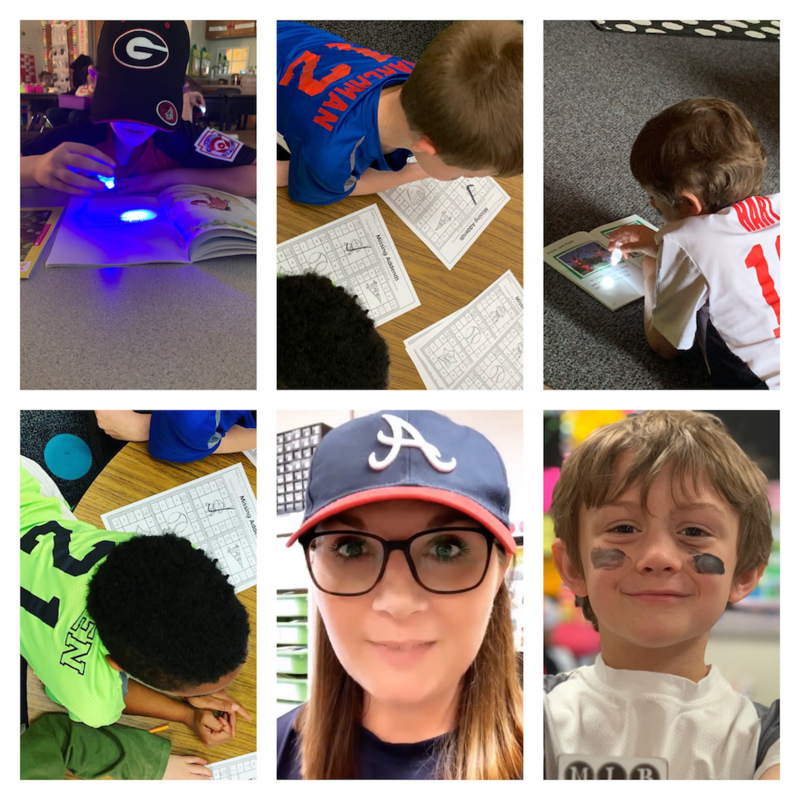 You can do this review activity with simple worksheets that cover your standards, or you can go all out and make everything baseball themed. Here are a few of the stations that I had set up. 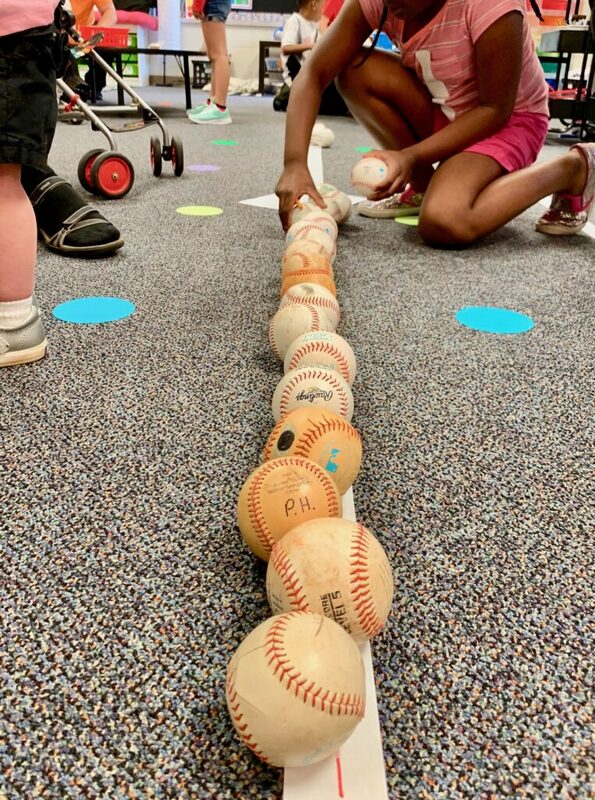 Baseball Nonstandard Measurement – Students measured with bats and balls using lines that I created with duck tape (same white tape I used to make jerseys). 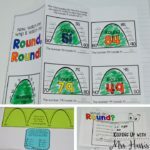 Roll a Score – Partners played against each other. 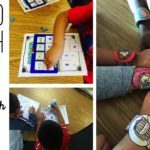 They took turns rolling dice and tallied the final score to see who won. 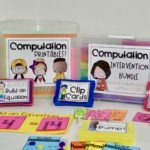 Place Value with Bats and Balls – Using the bat and ball place value cards, students will count to see what number is represented and record that card’s number on their answer sheet. I provided base ten blocks in this station as well. 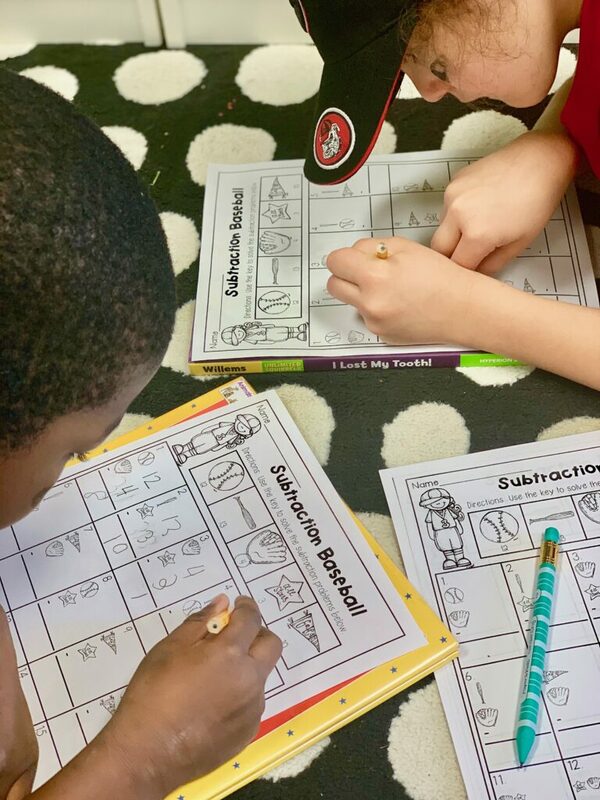 Subtraction Baseball – This activity had a key at the top of the page to show what number goes with each symbol. 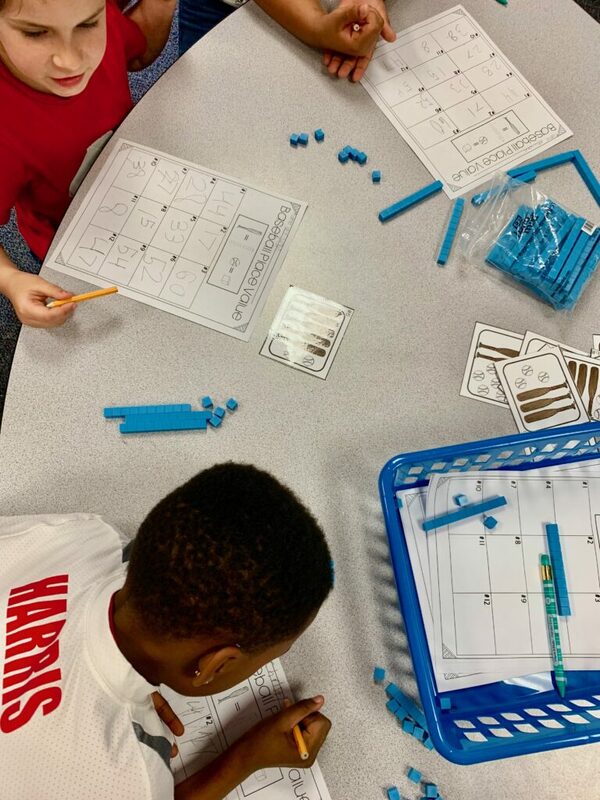 Then students used the two numbers to create a subtraction problem and subtract. 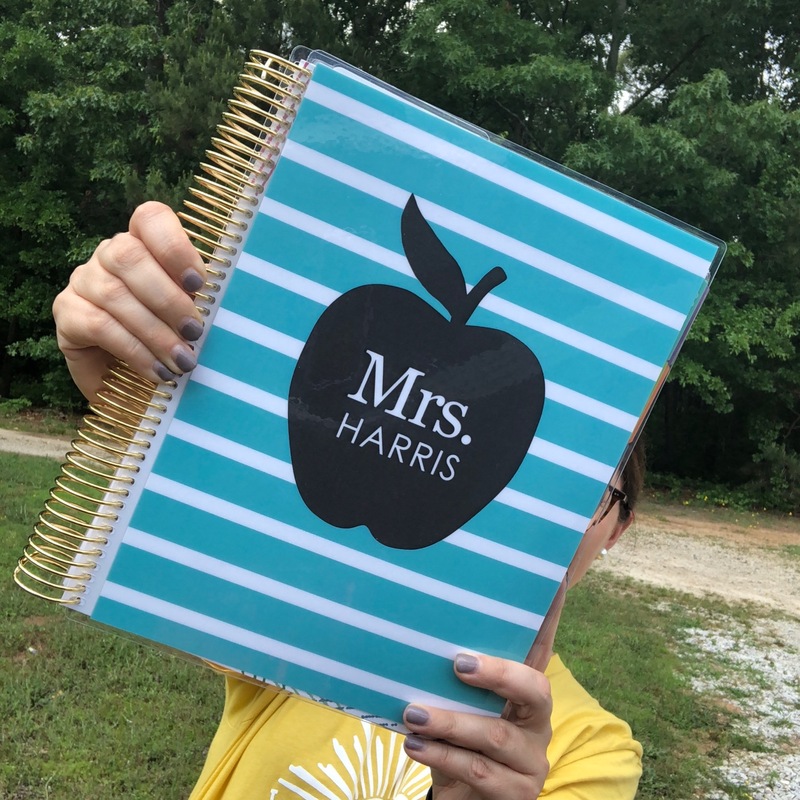 Click here if you would like to purchase the stations, board display, and draft cards that I used to make this day extra special. 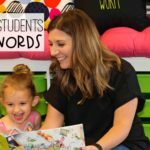 This room transformation or review day can easily be recreated for your classroom with very little prep and a whole lot of fun!